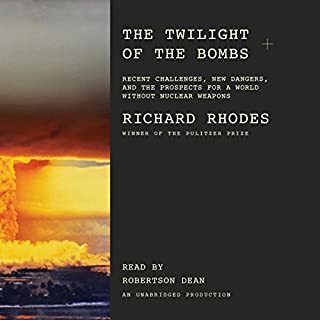 From the Pulitzer Prize-winning author of The Making of the Atomic Bomb, the story of the entire postwar superpower arms race, climaxing during the Reagan-Gorbachev decade, when the United States and the Soviet Union came within scant hours of nuclear war - and then nearly agreed to abolish nuclear weapons. In a narrative that moves like a thriller, Rhodes sheds light on the Reagan administration's unprecedented arms buildup in the early 1980s, as well as the arms-reduction campaign that followed, and Reagan's famous 1986 summit meeting with Gorbachev. Rhodes' detailed exploration of events of this time constitutes a prehistory of the neoconservatives, demonstrating that the manipulation of government and public opinion with fake intelligence and threat inflation that the administration of George W. Bush has used to justify the current "war on terror" and the disastrous invasion of Iraq were developed and applied in the Reagan era and even before. 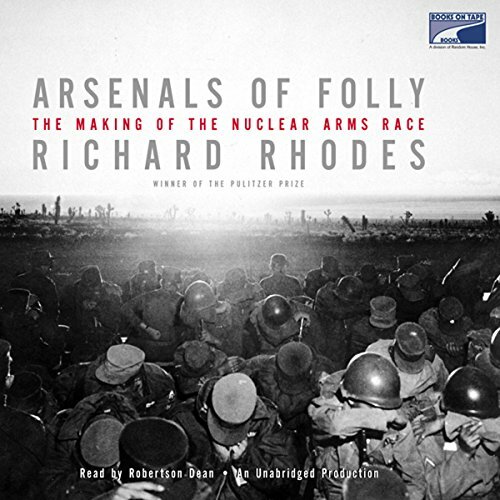 Drawing on personal interviews with both Soviet and U.S. participants, and on a wealth of new documentation, memoir literature, and oral history that has become available only in the past 10 years, Rhodes recounts what actually happened in the final years of the Cold War that led to its dramatic end. The story is new, compelling, and continually surprising - a revelatory re-creation of a hugely important era of our recent history. this is a gripping book. 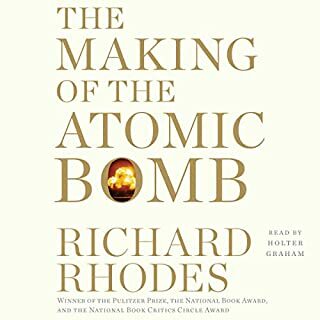 I was a big fan of Rhodes' "Making of the Atomic Bomb". It should be noted that this book is both history mixed with a significant amount of 'editorial',i.e. it is much more biased. Instead of just focusing on facts, the author's deep seeded believe that the arms race was avoidable, tragic, and a huge waste of resources is more than evident. I would have preferred he let the reader come to his/her own conclusions. that being said, the book starts with an unbelievable chapter about the Chernobyl disaster, setting the stage for the rest of the story. This is an incredible way to do this, becuase it makes the reader realize in real terms what nuclear war would have been like, given that Chernobyl would only be a taste of the devastation. The middle sections of the book are a little dry, with long discussions about particulars of the gorbachov/Reagan summits the go one for lengthy periods. The West (and the Reagan administration in particular, although not necessarily Reagan himself) comes out of the book looking quite silly, while Gorbachev comes out looking quite heroic. i am not sure things are really that black and white. In the end though, this was just an awesome look back at how isolated decisions look silly in a historical context, and makes you wonder what type of silly decisions we are making today. would recommend highly. Narration is outstanding as well. This book is a detailed account of internal politics focusing on Gorbachev in the USSR and Reagan in the USA. 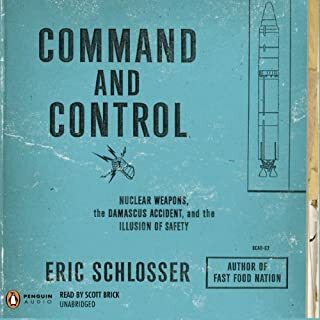 In order to enjoy the book, I would say that some basic background in the earlier parts of the Cold War would help, but no background in the events of the 80s themselves are necessary (I didn't have any!). The book alludes to the events of 1989-1991, so to learn more about those, you would need another book. It does get into a lot of detail about the political machinations, but most things are well-explained - I have no background in the structure of the Soviet government and I live in a country that has a parliamentary democracy that is quite different from the American system, and I could follow it without a problem. However, being interested in the inner workings of political systems is necessary to find the book engaging - if you find politics horribly boring, this is probably not the book for you. It also does a good job of qualifying biased materials (such as Gorbachev's memoirs) clearly, something I really appreciated since this is my first book on this subject. 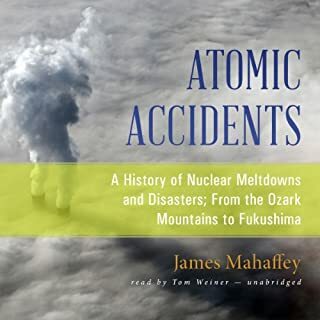 Having been born about three weeks before Chernobyl, and therefore not having experienced this time period for myself, this book was a real eye-opener for me. The detailed depiction of the rise of Gorbachev and his development of reform was fascinating - based on the description of the book, I didn't expect so much deep background on him, but it was important for context and worth sitting through. I knew almost nothing about Gorbachev going into this book, and now I feel like I really understand where he was coming from and why he did the things he did. Although the Soviet side was interesting, I found even more to grab my attention in the parts about the Americans. Since because of my age I am in the position of knowing a lot about the Bush Jr. presidency but remembering nothing about the Reagan-Bush Sr. years, this explained so much. Honestly, it shocked me to find out that many of the people involved in the War on Terror - especially the "weapons of mass destruction" debacle - had been involved in similar policy decisions twenty years earlier with the "missile gap". I feel much more enlightened now about something that has always baffled me about American politics - how did the Republican Party become such a mess? - because of this book. The fundamentalist christian connections, the creation/reinterpretation of intelligence information to suit policy rather than the other way around, the ridiculous military spending, the charismatic leader surrounded by advisers... it all started with Reagan. However, don't worry, Reaganophiles - the author doesn't make him out to be the villain. He is treated as an idealist whose somewhat naive desires for changes are not always listened to or even respected by other members of his government. His attachment to SDI is portrayed as a desire to protect his country, not as pigheadedness. Even though I am practically his political opposite, I felt sympathetic towards Reagan and what he was trying to accomplish as president. I found the narration well-done. No complaints - his voice was easy to listen to and engaging throughout. Overall, I really enjoyed the book. I finished feeling like I knew Gorbachev and Reagan well, and understood their motives. The book doesn't agree with the common (but overly simplistic) assessment that the Reagan administration caused the end of the Cold War on purpose by pushing the USSR's economy into destruction. It gives a more nuanced view that gives credit to a complex web of factors. This is a great way to really understand the often-neglected last decade of the Cold War - after Vietnam, after the Cuban Missile Crisis, etc. - and also the rise of neo-conservatism and the modern Republican Party. What disappointed you about Arsenals of Folly? This recording is seriously messed up. Not the book it's from and not the narration but the copy. It's obviously been copied from tapes that drag, I'm less than three hours in and have heard two instances of definite tape warble as well as the low level but maddening slowness of the rest of the recording. I set my ipod to read at a higher speed which helped a little but not enough. I wouldn't have made it this far if I hadn't been listening to it during a drive and couldn't switch.Please fix and replace this file. I'd love to do a different review of this book based on a non-damaged recording. 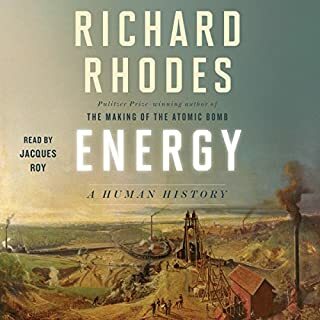 This is the third book on Audible I've bought by Richard Rhodes and this is my personal favorite. Rhodes provides an unmatched level of detail and makes all the information feel very personal. 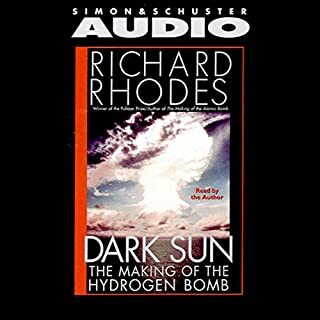 I highly recommend this book to any Cold War history enthusiasts and this is a must read if you have read Making of the Atomic Bomb and Dark Sun as this book seamlessly transitions to the politics left off in the last two books. The narration is superb as well. i was familiar with the Cold War and the nuclear arms race from the U.S. point of view, but this presented a clearer picture of both sides . Excellent book, but the worst audiobook ever. The narration is monotonous, slow and tired. Its as if the reader is falling asleep and also trying to scare you with the most grading fake deep voice. It sounds ridiculous. Bought and read this important book myself. The book is highly recommended, the audiobook not at all.